The official opening of the 2015-16 academic year will be proclaimed on Monday, 14 September, at a 9am Matins service. This service is also the opening of the festive convocation, “‘You Then, My Son’: Pastoral Perspectives on Paul”. For this reason, there will be no Sunday afternoon opening service (as has been our custom). 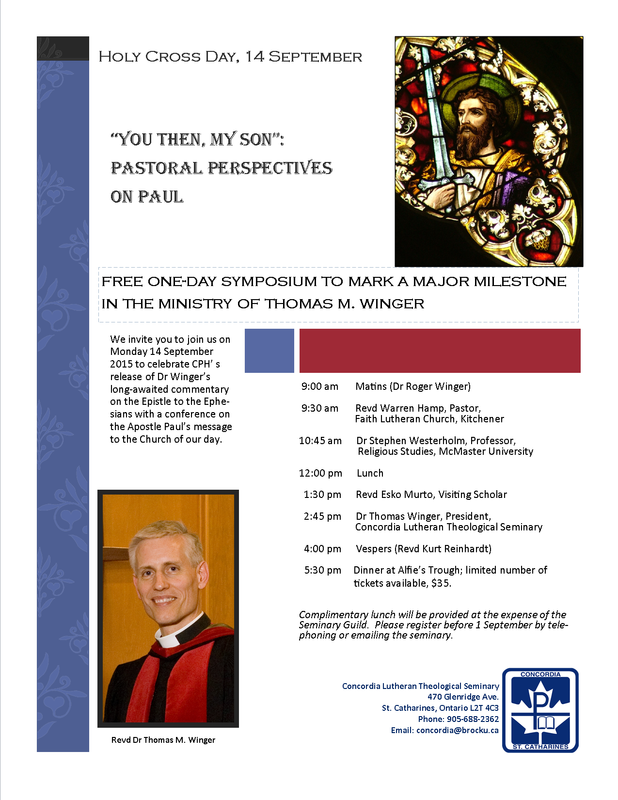 Details about this conference, held in recognition of the release of President Thomas Winger’s Concordia Commentary on Ephesians, are available here. We enourage you to register your desire to attend as soon as possible. There is no cost for the conference. The evening banquet has limited seats available at $35. 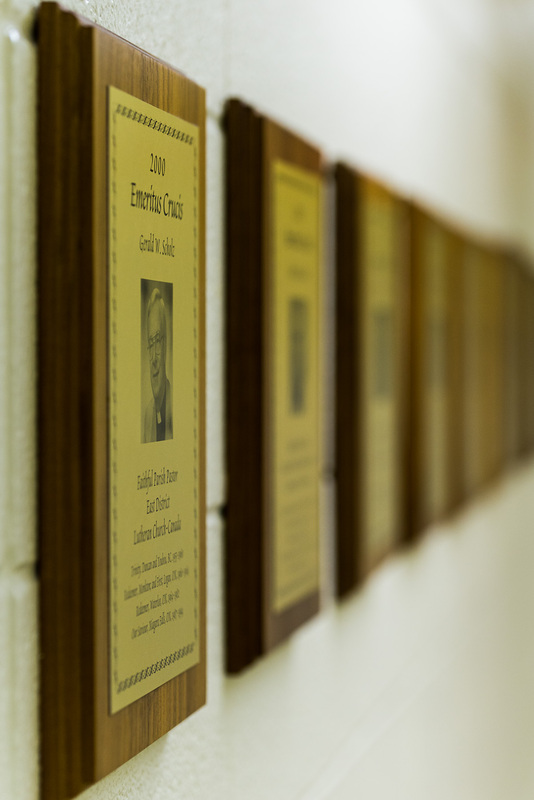 At Vespers, 4pm on Monday afternoon, the seminary will present the annual Emeritus Crucis (“Veteran of the Cross”) award to Rev. Alvin Borchardt. Given on behalf of LCC’s Central District this year, the award recognises a man who has devoted his entire ministry (more than 30 years) to parish work. The seminary is pleased not only to thank Pastor Borchardt for his Herculean labours, but to hold him up to the students as an example of the vocation into which they may be called.